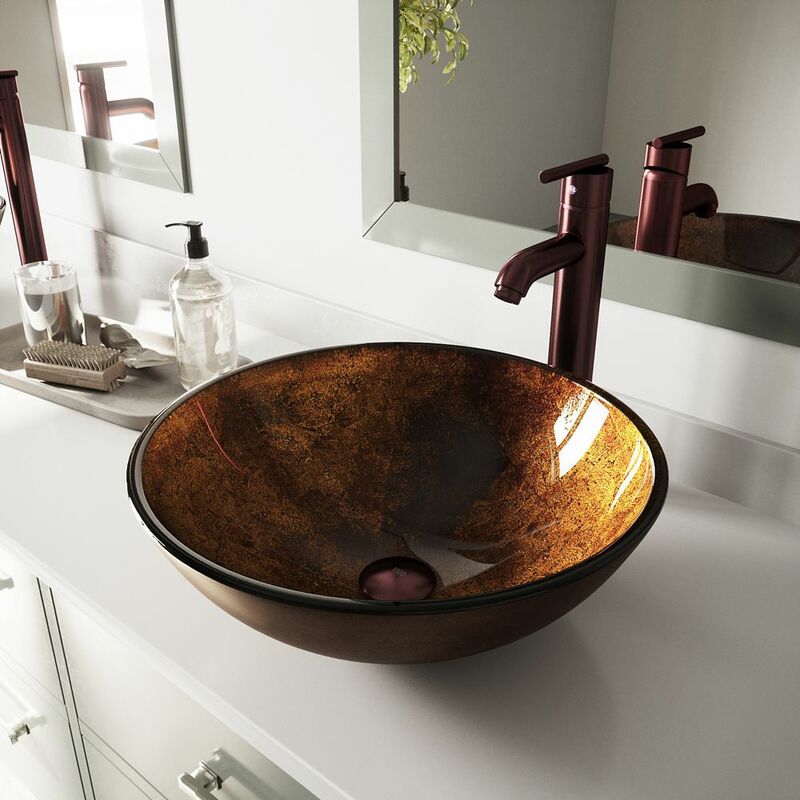 Glass Vessel Sink in Russet with Faucet in Oil-Rubbed Bronze is rated 4.8 out of 5 by 48. Rated 5 out of 5 by Jim from Beautiful sinks, installed two in the masterbath on new granite countertops! Easy to install an... Beautiful sinks, installed two in the masterbath on new granite countertops! Easy to install and fully functional. Have been using them for about a month, easy to clean and really modernized our bathroom! Rated 5 out of 5 by kambeachbums from Quality Products, Superb Packing We were impressed by the weight and the thickness of the glass, as well as by the fit of the drain. Quality throughout! The size is perfect. The curve of the sink results in absolutely no splash. The depth of the color of the sink is beautiful. Rated 5 out of 5 by Mary from This sink has beautiful colors and it glows under the... This sink has beautiful colors and it glows under the light..